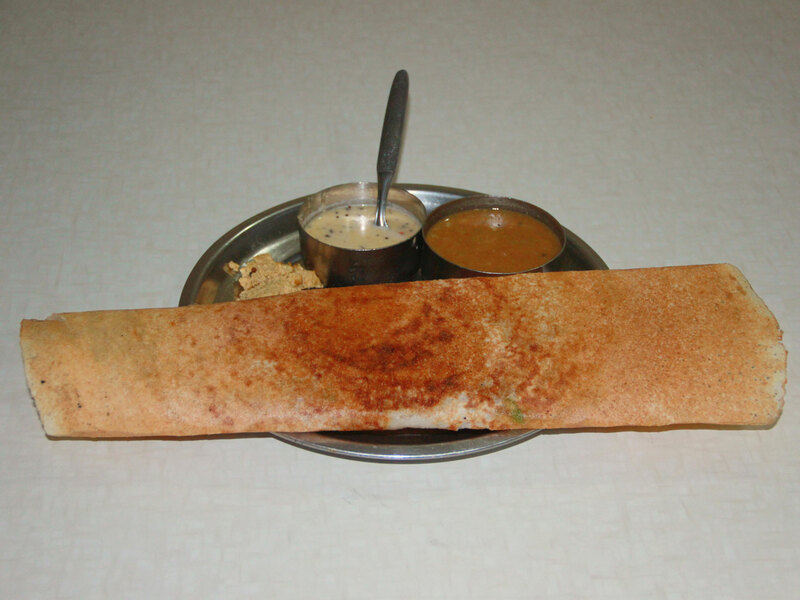 Apart from the common support dishes (sambar and coconut chutney) they also provide a fiery hot chutney made from garlic and red chili. 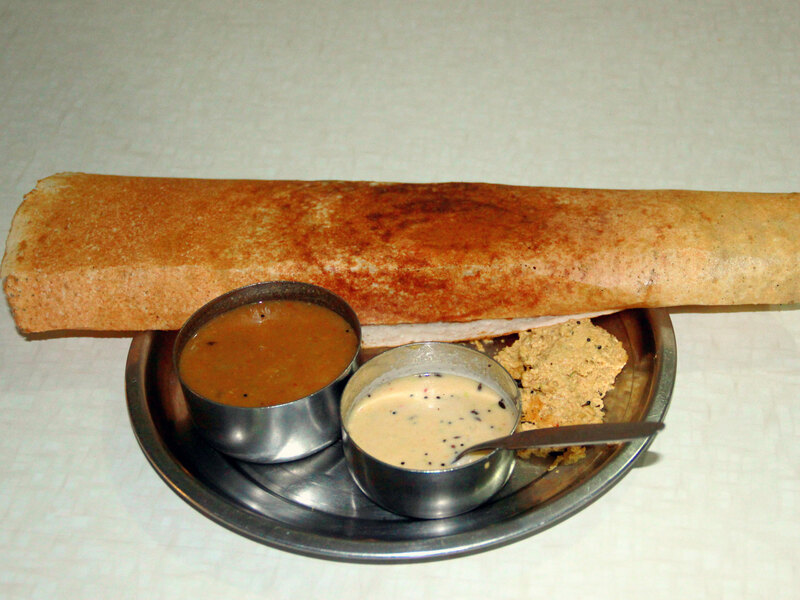 This spices up the light taste of Masala Dosa. The lightly cooked potatoes with various spices (Masala) is stuffed in a crisp, thin Dosa made from rice flour and Urad daal mixture. 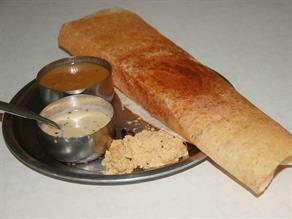 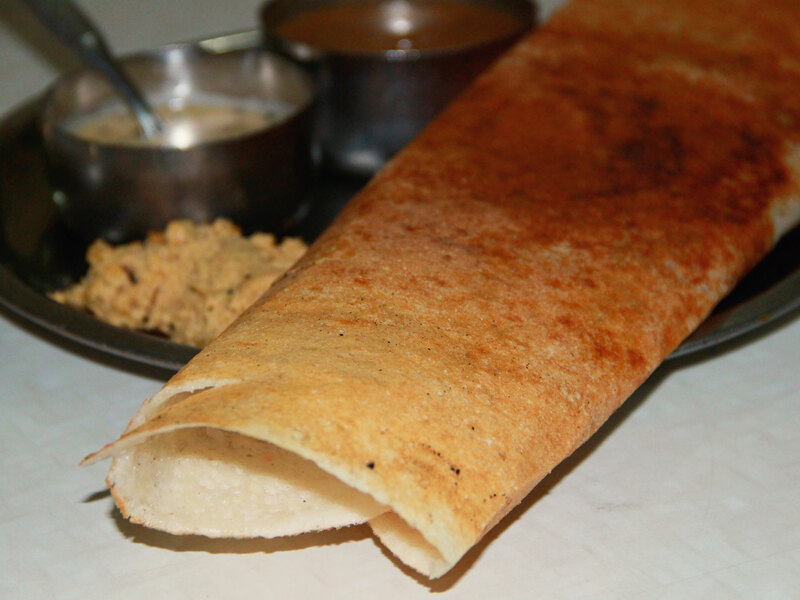 The Masala Dosa is served with the classic coconut chutney and Sambar. 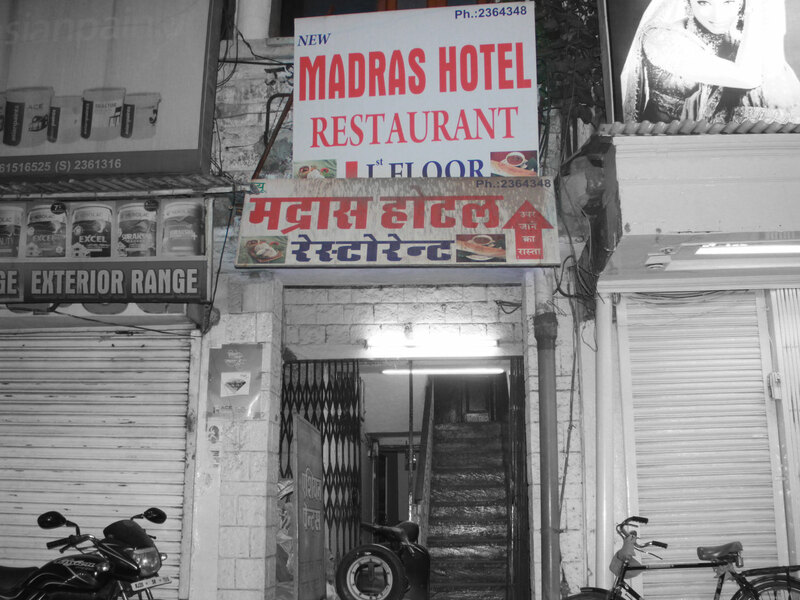 The taste is available from 09:00 a.m. to 10:00 p.m.
New Madras Hotel Restaurant, is a very old and famous hotel plus restaurant which was established in 1964. 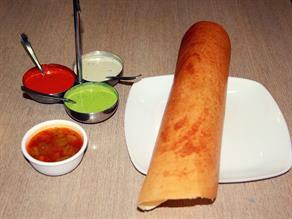 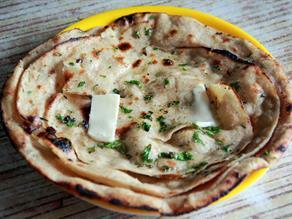 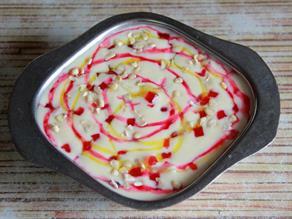 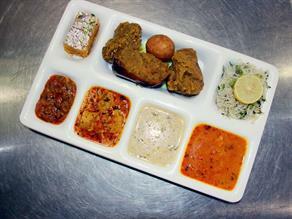 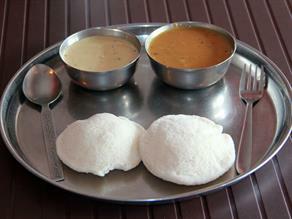 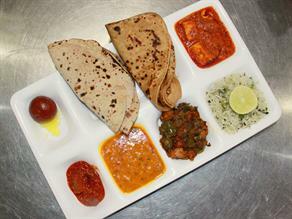 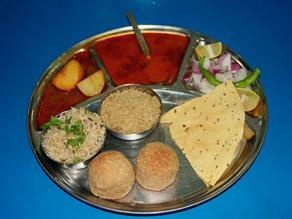 Good quality dishes served here include both North Indian and South Indian dishes.